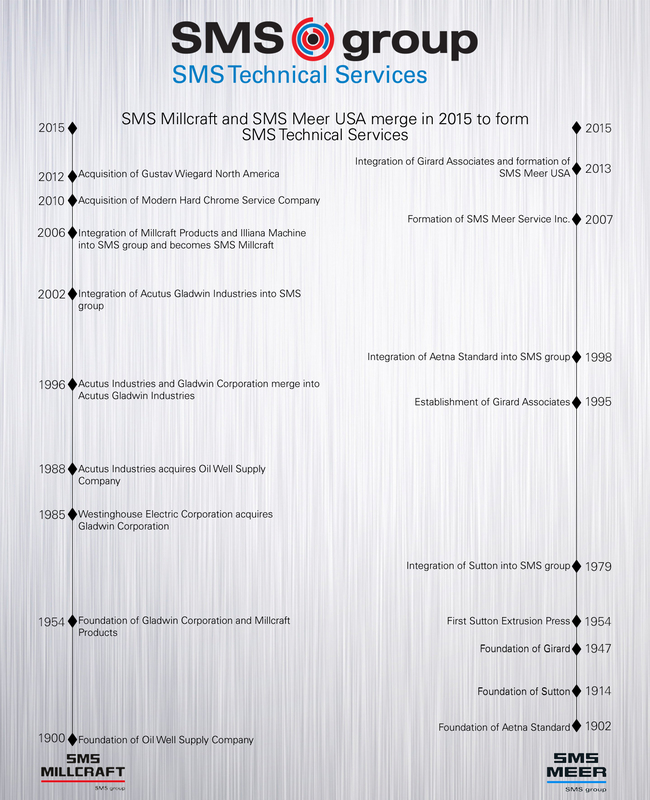 The beginnings of SMS group can be traced back over 100 years to American original equipment manufacturers such as Aetna Standard, Oilwell Supply Company, and Sutton Engineering. Excellent customer service remains the core value of SMS group with predecessor companies such as Acutus, Gladwin, Girard, and Millcraft Products whose origins all began in providing maintenance services for metals and mining industries back in the 1950’s. The advent and growth of continuous casting in North America fueled the growth of these companies whose eventual combination serves as the cornerstone for SMS group today.